American ace DJ underlines why he could be the man to beat this year. European Tour show lack of backbone after Garcia tantrum. LONDON: So the Desert Swing is over for another year. This year saw a new tournament in town, the Saudi International completing the trio of Middle-East based battles. Here is what we learned after all birdies, bogeys and booming drives. The American ace’s win at the Royal Greens Golf & Country Club was his first for seven months and once again reminded us and his rivals, if any was needed, that when on song it takes some performance to stop him. Under pressure from the brilliant Haotong Li the world No. 3 did what all greats do when required — turned on his A-game and swatted away the challenge. Two birdies on 17 and 18 illustrated “DJ’s” class and nerveless pursuit of victory. Despite all the tour titles to his name, there is a sense that the 34-year-old has underachieved with only one Major victory. This win and the manner of it sets Johnson up for a successful stab at adding to his Major collection, starting with the Masters in April. 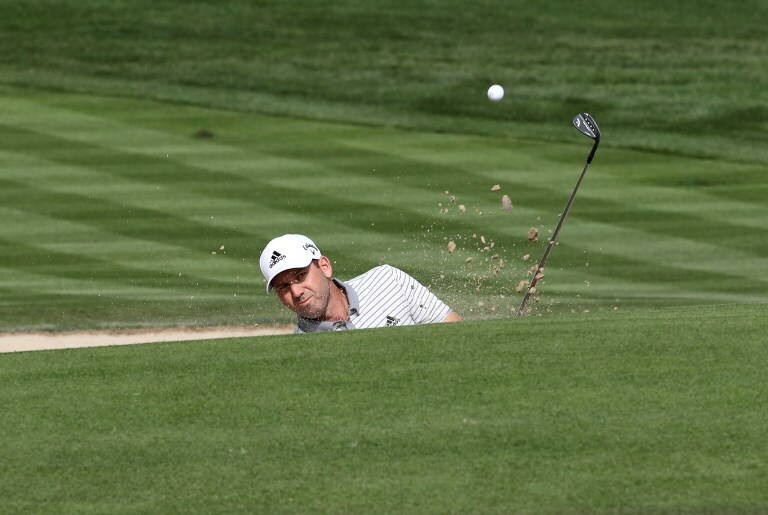 Bar Johnson’s victory, the other talking point from the Saudi International was the disqualification of Sergio Garcia for damaging as many as five greens during a bad-tempered third round. The Spaniard apologized for his actions and said it will not happen again. Those words, however, should not have been the end of the matter. Garcia may be a big-name player but, rather than declare the matter “closed as Tour chief Keith Pelley did, the European Tour had to show that star status does not mean you can get away with anything. It was the time to show it has teeth and issue a meaningful fine and even a ­suspension from the Tour. The American won by a mammoth seven shots at the Dubai Desert Classic and illustrated why he is golf’s man of the moment. But his uniqueness is both refreshing and annoying. Known as the “scientist,” DeChambeau says he is leaving nothing to chance while out on the fairways and greens. Methodical and mesmerizing in equal measure the American can prove frustrating as well. In an age when golf is trying to speed up play to see the world No.5 take an age over many of his shots — he had a very lengthy discussion with his caddie on a fairly straightforward shot during the final round in Dubai — proved problematic, and not just for the fans. “I just don’t understand how it takes a minute and 20 seconds, a minute and 15 to hit a golf ball; it’s not that hard,” world No. 2 Brooks Koepka said. 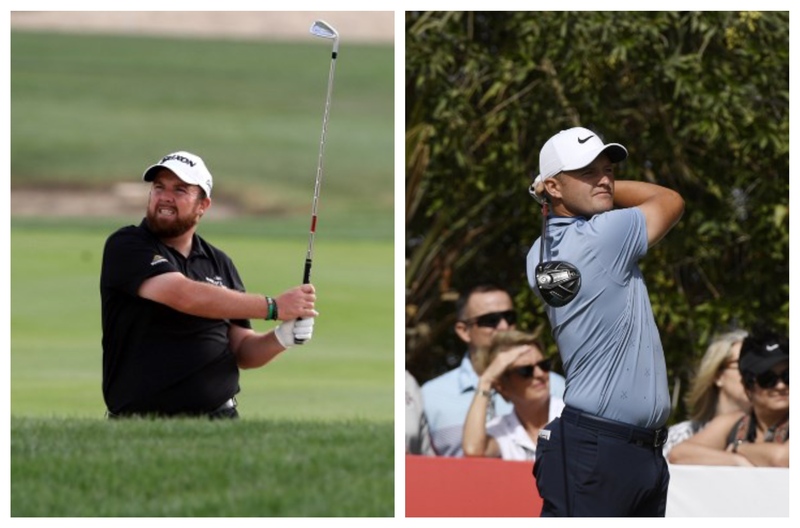 The Desert Swing shone a light on two golfers who have struggled over the past few years — Shane Lowry and Tom Lewis. Lowry was brilliant in winning in Abu Dhabi, following that up with a top-15 finish in Dubai. He is now back in the world’s top 50, which is where someone of his talent should be. Lewis has had a rough few years, unable to transfer his precocious talent to the professional circuit. Victory in last year’s Portugal Masters was followed up with a top-10 finish in the DP World Tour Championship in Dubai in November, and that has been followed up with impressive form this year. Ninth in Abu Dhabi was bettered with a third-place finish at the Saudi International. This time last year he was languishing at 394th in the world rankings. He is now at 55 and close to an invite to the Masters. The 23-year-old had an impressive Desert Swing, underlining his status as China’s first major golfing star. He followed up the defense of his Dubai title — where he finished tied 12th — with runner-up spot at the Saudi International. With his best years well ahead of him, Haotong Li can really make a name for himself as he did over the past few weeks, not least with his remarkable third-round 62. That was sparked by four eagles, but most impressively, Li made three of those eagles on par 4s.